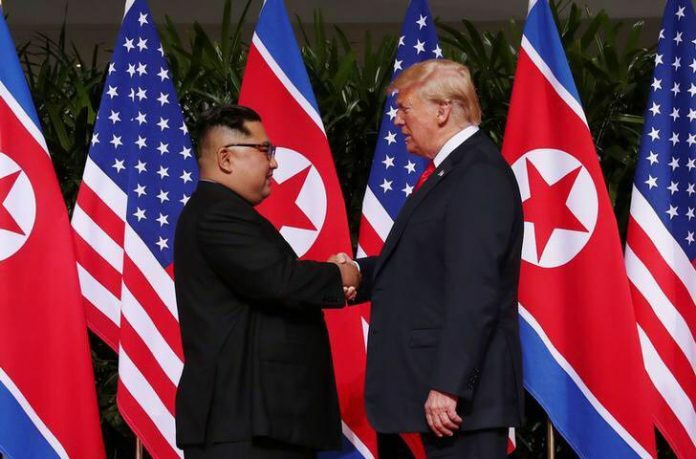 On June 12, 2108 President Trump and Kim Jong Un met in Singapore for an historic summit, the first time a sitting U.S. president met with the leader of North Korea. If Trump had walked into the summit and played his power game of maximum pressure, Kim Jong Un would probably have walked out of the talks. This summit became a display of tolerance, and now it is time to address the principles of a plan that benefits everyone. What could be a more perfect demonstration for the month of Ramadan for students of the Faith of the Pure Ray? Ramadan is nearly half over, and on the other side of the circle is Christianity and the principles of Creativity and the plan. Islam addresses the principles of Equality, the first requirement for conflict resolution. 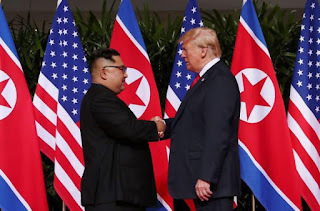 The conflict between these two men dragged the entire planet to the brink of nuclear war, and so our first focus is on a plan that is based on equality and is able to resolve conflicts. Students have reached the "south pole" of the circle, but this is event brings mankind back to the starting point, the Exit Strategy for Iraq, which includes the creation of an international court system based on Universal Law. The conflicts are not over. There will always be disputes. If Trump's next step is to force his own agenda for denuclearization on North Korea, the next step from Islam is Hinduism, and addressing issues related to Security. If that step fails, the conflicts continue with military action. It is in no one's best interest for mankind to devolve into a nuclear war, nor to ignore the disputes and to allow the anger to continue to rise, which leads to acts of terrorism. What is in everyone's best interest is for the creation of the international government, and an associated international court system, so disputes can resolved peacefully, and the monies wasted on war will go to the people instead.